This texture is available in Brazilian, Chinese, Indian and Malaysian Hair Origins. FLW Body Wave Hair texture is created by an advanced chemical free steaming process. When selecting your desired hair type it is important that your decision is based on the hair behavior as the appearance of the Body Wavy hair is consistent for each hair origin. Our Full Lace Body Wave Wigs are 100% Human Hair (no synthetic fibers). Finelacewigs.com is your trusted source for Wavy Wigs with Body! Body Wave Hair texture is processed by an advanced chemical free steaming process. When selecting your desired hair type it is important that your decision is based on the hair behavior as the appearance of the Body Wavy hair is consistent for each hair origin, Behavior variation details for each origin are listed below. Baby Hair: Around the entire perimeter. Cap Construction: Design A: Full Lace Wig with a stretch panel in the middle. Cap is completely handmade, which allows for multi-directional parting throughout the hair system; cap is ideal for high ponytails. Design B: Glueless is a standard Full Lace Wig with 3 combs and an adjustable strap added (Click photos to view illustration). Cap Material: Swiss in the front with a stretch panel in the middle. Cap Size: This item is stocked as small cap (21.5, 14.0, 11.5, 12, 14, 4.5), medium cap (22.5, 14.5, 12.5, 13, 15, 5), and large cap (23.0, 15.5, 13, 14, 16, 6.0). Density Options: Our stock density is 100% at the hairline, gradually increasing to 120% throughout. For your convenience, we offer the option to customize your density up to a 180% in as little as five (5) business days. Clients may specify placement of density by sending a note with your order. 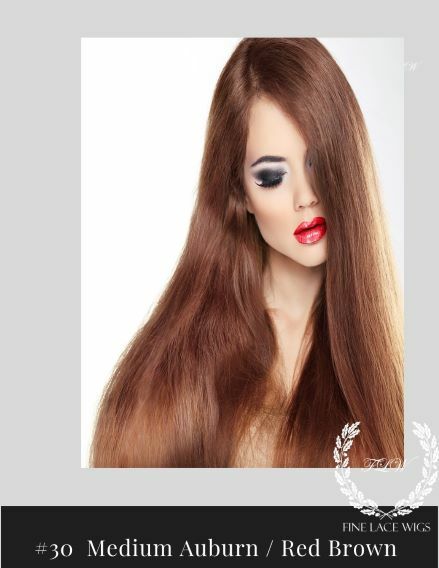 Hair Color: Hair Color in the advertisement is virgin darkest brown which is the natural color of the hair donor and closely resembles darkest brown hair. 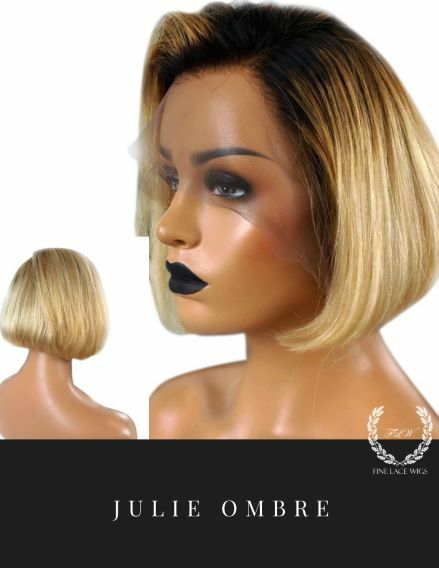 Click the Full Lace Wig stock options button below for additional Body Wave Wigs hair color options. Although the texture is consistent for all hair colors, only Human Wigs ordered in virgin darkest brown are chemical free. Organic hair may be colored. Lace Color: Neutral Brown which is ideal for a variety of skin complexions. Hair Length: Hair is measured from the nape of the body wave full lace wig (refer to the length chart below to select ideal length). Please note: the hair measured when it is straight therefore, body wave wigs will appear 0.5 inches shorter due to the wigs wave pattern.